Water is a nutrient all its own, helping every cell in your body function properly. Most people get about 20 percent of their water through food and the rest by drinking water or other beverages. To meet Institute of Medicine water-intake recommendations, men should drink about 13 cups of nonalcoholic fluids per day, while women should drink about 9 cups per day. 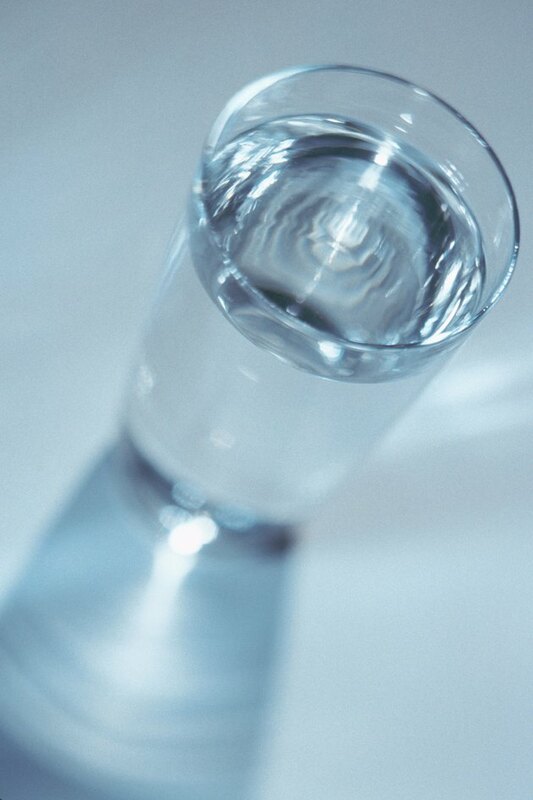 Plain water contains zero calories and is not a source of fat, protein or carbohydrates. Although pure water does not contain any additional nutrients, water often absorbs certain minerals and delivers them to your body when you drink. For example, tap water -- especially hard water -- may provide calcium and magnesium. Bottled mineral water may also contain these and other minerals, including sodium. Read bottle labels or request tap-water reports from your city to learn the exact mineral content of your drinking water. Most drinking water naturally contains fluoride, and many cities and towns add fluoride to the water supply to help promote stronger teeth. While fluoride is healthy in moderate doses, excessive fluoride intake over time may lead to increased risk of bone fracture. Therefore, the Environmental Protection Agency has set the maximum contaminant level for fluoride at 4 milligrams per liter of water. Is Club Soda Good for You?